Some of my first-ever bylines appeared on articles for teen magazines like TEEN BEAT, BOP, and yes, TIGER BEAT. Back in 2001 (the year, not the movie), I wrote a little bit of everything for those magazines, but mostly I wrote entertainment journalism, focusing on pop stars such as Beyonce, Justin Timberlake, and Britney Spears. Writing for these teen magazines (internally they were often called “tween magazines,” to be more precise) taught me that I was good at writing about music, which directly led to a gig writing jokes and comedy bits for MTV’s fondly-remembered music video countdown show TOTAL REQUEST LIVE (aka “TRL” – that was my first writing credit on a TV show). It also led to my decision to write several early MAD MAGAZINE pieces which parodied pop music or hip-hop. And many years down the line, it led to my writing a YA nonfiction book for Lerner Publishing Group, titled AMERICAN POP: HITMAKERS, SUPERSTARS, AND DANCE REVOLUTIONARIES (2013). Here’s the cover of the May 2001 issue of TEEN BEAT. 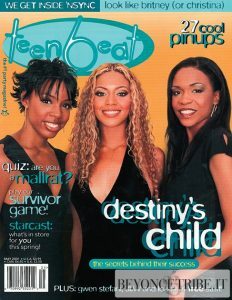 I wrote that issue’s cover story on Destiny’s Child. Who (or what) was Destiny’s Child? Ask your parents. Or maybe go read a book! For This You Got Irradiated? 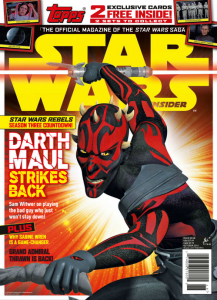 In 2016, I wrote a piece for STAR WARS INSIDER #168. The article explored MAD MAGAZINE’s history of lampooning STAR WARS. When I was writing the article, I interviewed a colleague, Jonathan Bresman, who has the unique distinction of being both a former MAD editor and a former Lucasfilm staffer. 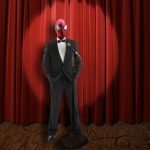 So he has an interesting perspective, and can speak with authority on what MAD and STAR WARS have in common. I think the article came out rather well. And of course, it helps that I’ve written many articles for MAD over the years. I wrote this article around the time I finished writing my first two LEGO STAR WARS books (FACE OFF and THE OFFICIAL STORMTROOPER TRAINING MANUAL), both of which are out now from Scholastic.